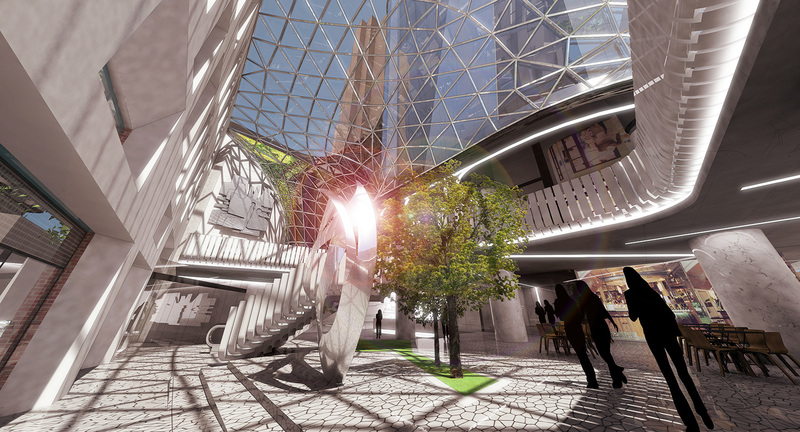 Celebrating a historically rich site with new public spaces and integrated heritage. 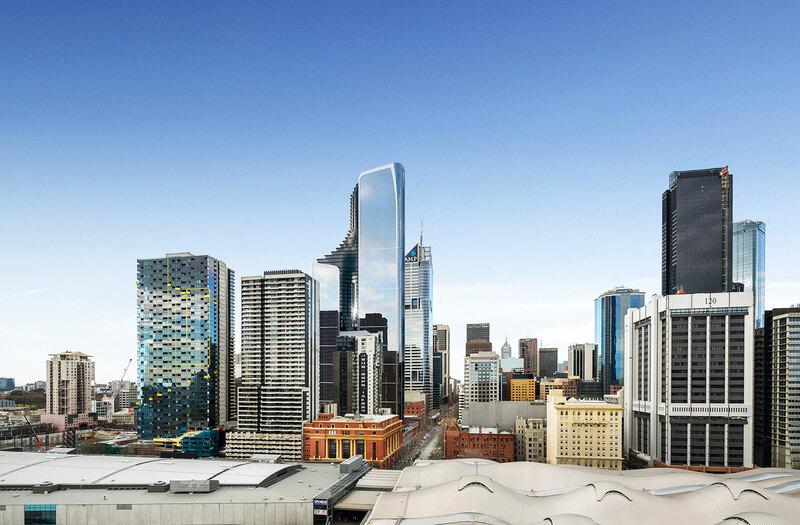 640 Bourke is a benchmark for contemporary architectural expression, shaping Melbourne’s evolving skyline. 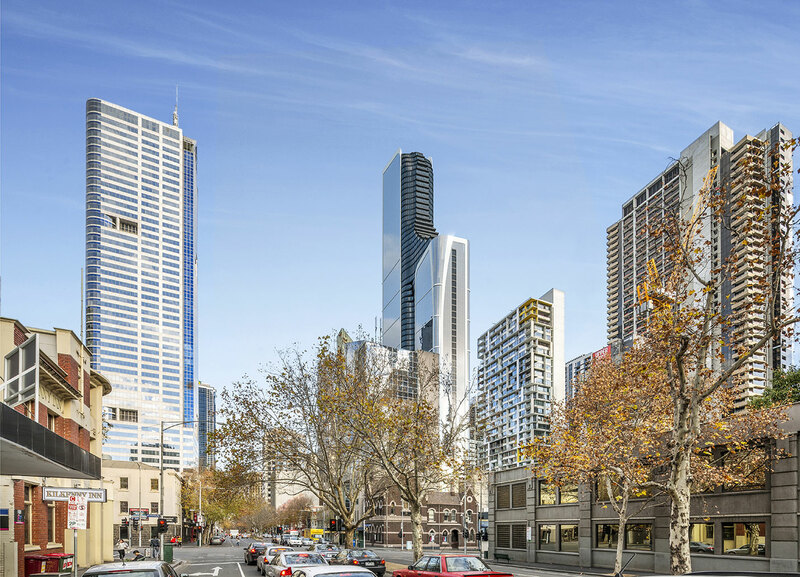 A uniquely profiled and elegant addition to Melbourne’s developing city skyline, 640 Bourke Street is set to be an exciting mixed use development providing for a variety of uses including retail, café, commercial office, public gallery spaces and childcare facilities. 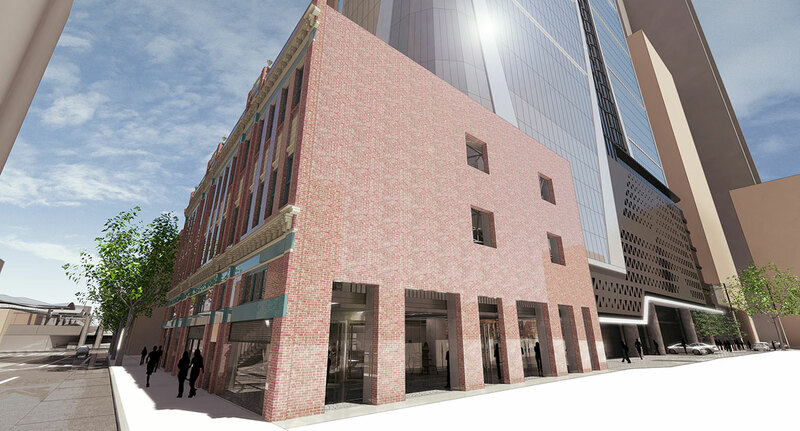 Additionally, a new public square will be provided on Lt. Bourke Street. 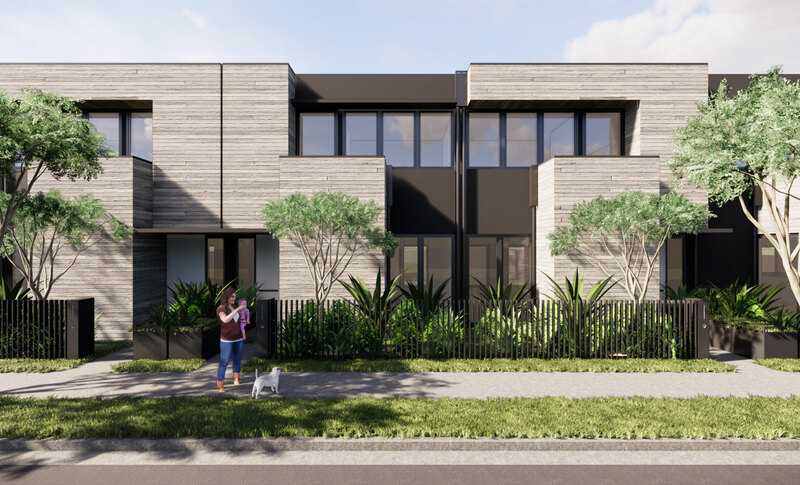 As a considered response to the opportunities and constraints presented by the site, the tower form has been developed through careful consideration of relationships between immediately adjacent built forms and the potential for redevelopment of neighbouring sites. 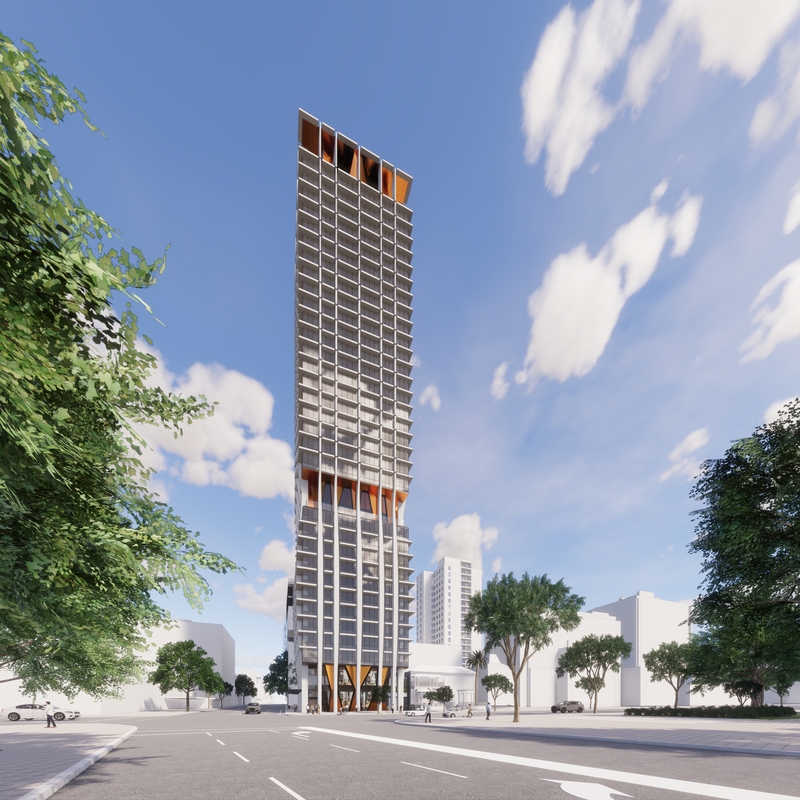 The resulting slender tower lends itself to shallow apartment plans, affording excellent daylight and reduced impact of wind on the building. 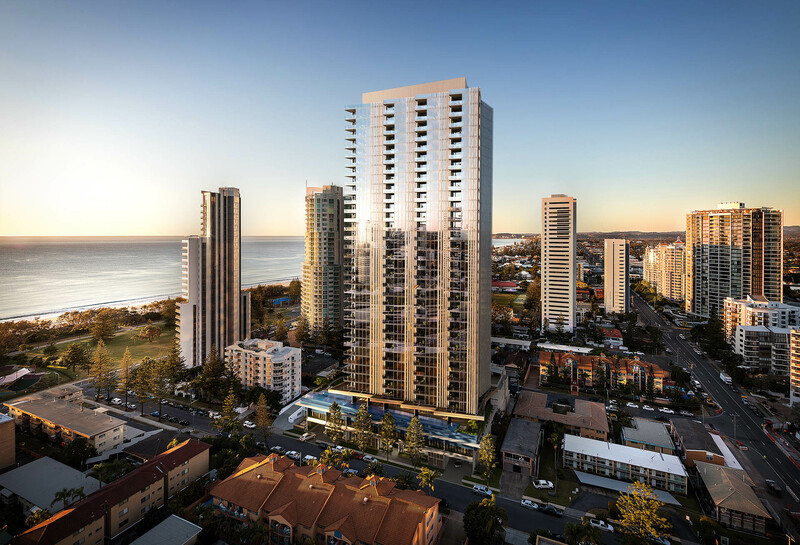 The tower’s apartment types, their good internal amenity and access to floor to ceiling city views will have a broad appeal to investors and owner occupiers alike. 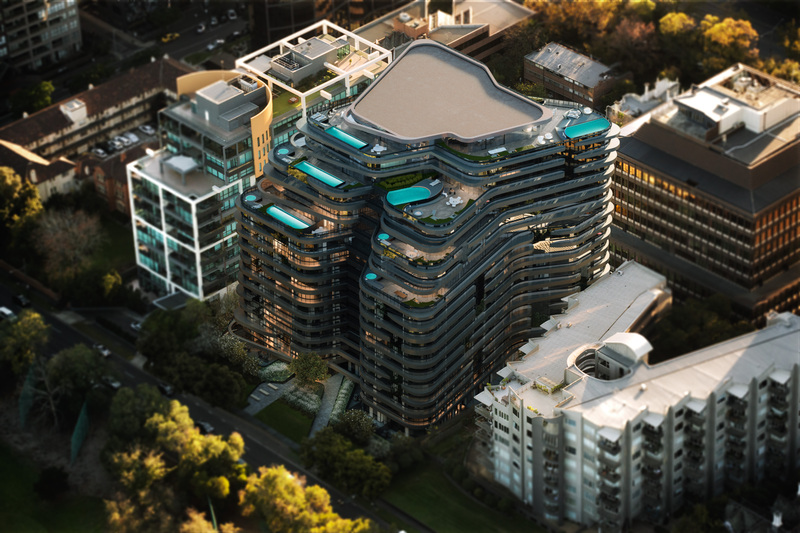 The building design combines multi-residential apartments and associated shared resident facilities, with active retail frontages to Bourke Street, Langs Lane and Little Bourke Street. 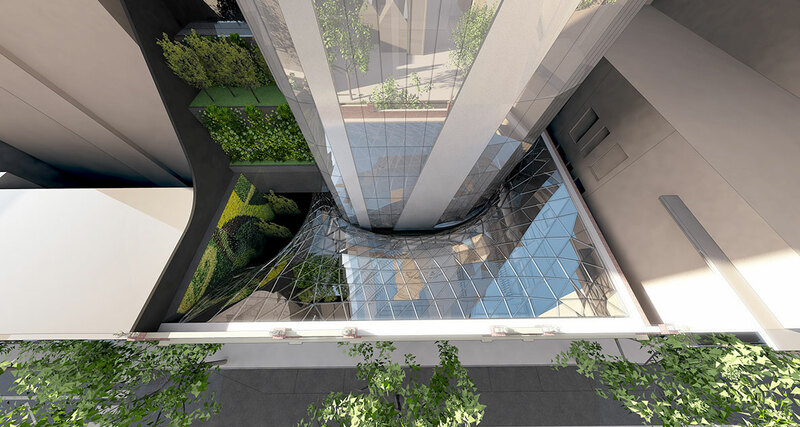 A unique opportunity was provided to Rothelowman to create a new breathing space in one of Melbourne CBD’s highest populated precincts at the confluence of several interconnected laneways. 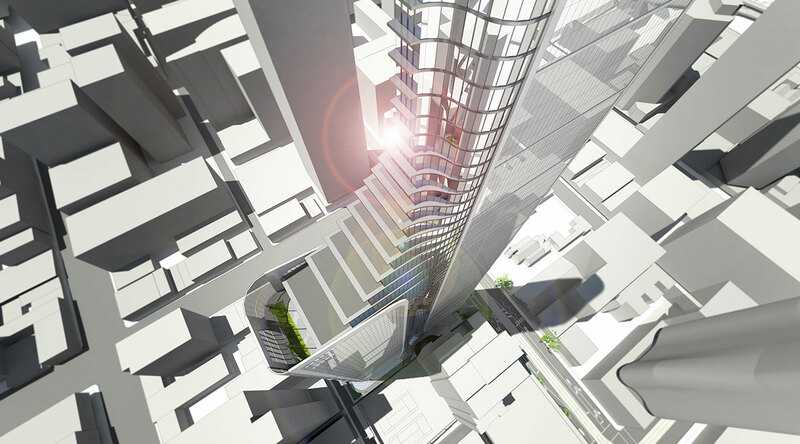 By widening the existing narrow pedestrian through block link, the public is encouraged to access through to the public foyer, Langs Lane and the Upper West Side development beyond. 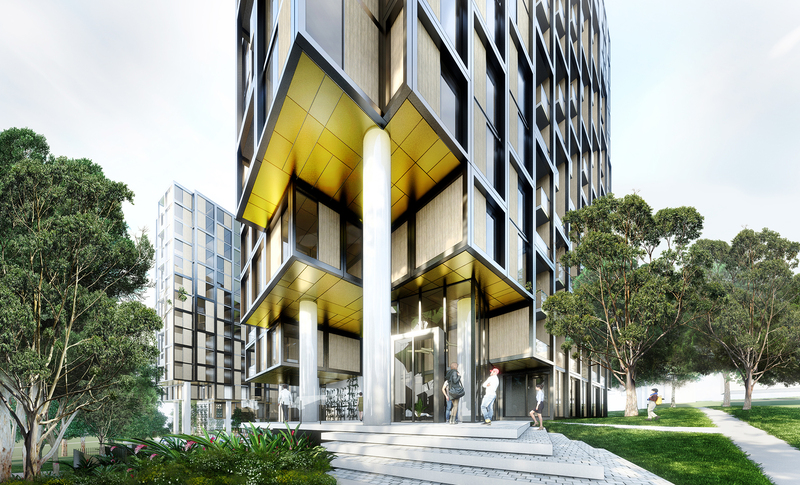 This provision of a public realm and enhanced pedestrian connectivity across the site is a central concept in the planning of this project. 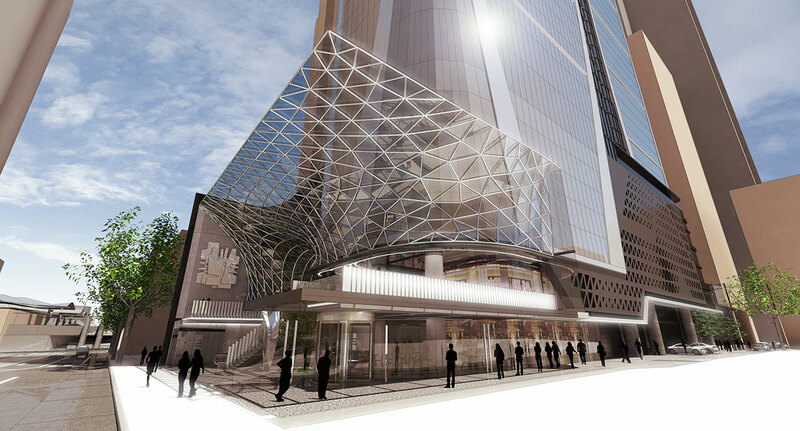 The Bourke Street façade encloses a public gallery space and retail/café uses which create an active frontage with views into and out from a large, dynamic and well-lit lobby space. This grand public lobby space both preserves and enhances the significance of the Eliza Tinsley building. 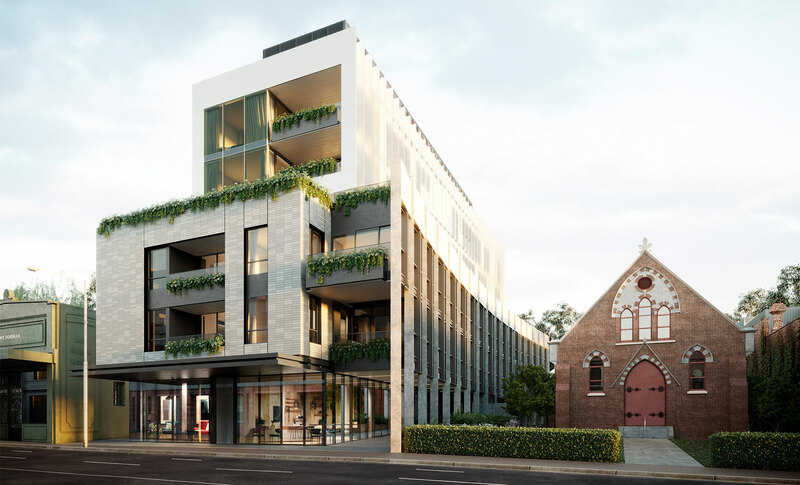 Our design team envisaged the tower as an elegant piece of industrial design – inspiration being drawn from the heritage-listed Eliza Tinsley building, which originally housed a coach and motor body works, blacksmiths, saddlers and leather supplies. 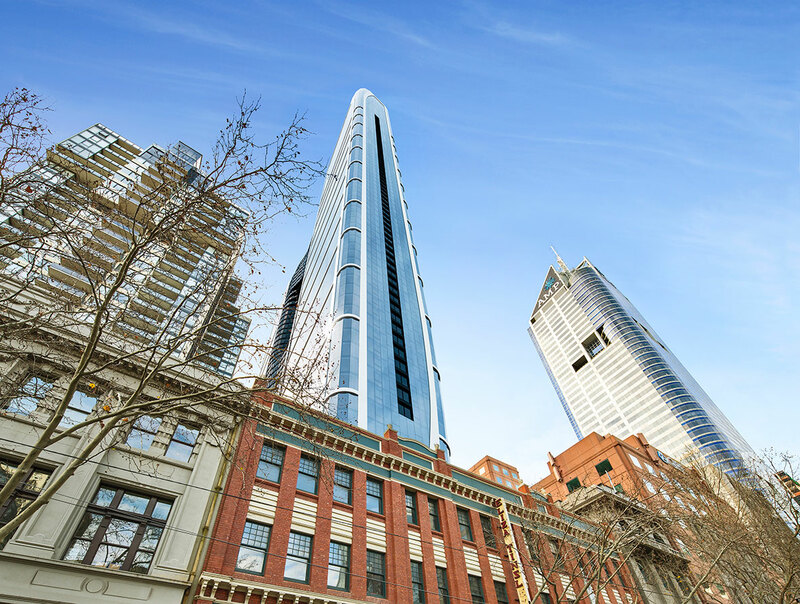 The form and materiality also serve to create a juxtaposition between the existing heritage facade of the Marvellous Melbourne era and a building expressive of contemporary Melbourne. 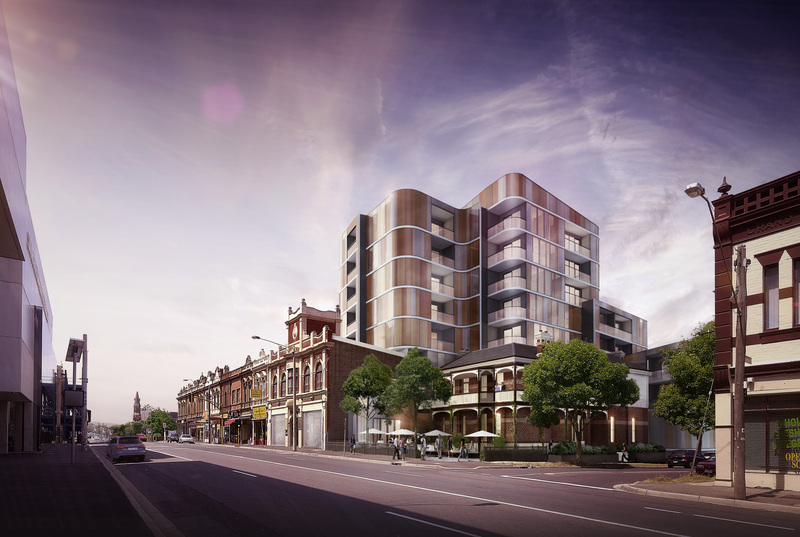 The retention of the existing heritage façade forms a key part of our design and will preserve and enhance the significance of the building and uphold its contribution to the streetscape.